Why Call Tow Hitch City in Daytona Beach, FL? Auto Vent Shades - Vent Visors and MIsc. If you are a proud truck owner, you want to take the best care possible of your truck while getting the most out of its immense power. If your truck does not have a trailer hitch, you're not getting everything you can out of it! You might be able to pull a stump out with the bumper, but what about towing a trailer, a boat, or even another vehicle? For the biggest jobs, you need the baddest trailer hitch. We proudly install Draw-Tite trailer Hitches in various payloads and styles to fit your job. Whether you're towing a boat, camper, another vehicle, or anything else, we at Tow Hitch City in Daytona Beach, FL have the product and 33 years of experience to get it done right. Of course, for the biggest jobs, nothing beats a fifth wheel. Whether you're pulling several horses or your camper is so massive that it requires the strength of a gooseneck, nothing beats a fifth wheel. Here at Tow Hitch City, we install fifth wheel trailer hitches to ensure that you can get any payload to it's destination. Bed liners are a must for anyone with a truck. Without a bed liner, your bed will be scratched rusty at best within a month. Bed liners protect your truck's bed and cargo, and provide lasting durability, resistance to rust, and a tougher look. At Tow Hitch City in Daytona Beach, FL, we are doing bed liners all the time. They are very popular. Naturally, we only do the very best—no cheap shortcuts here at Tow Hitch City in Daytona Beach, FL. Tonneaus (bed covers) provide safety for your cargo, preventing thieves from getting to it and keeping it from flying away while driving. Even when you don't have any cargo, a tonneau streamlines your truck's profile for better fuel efficiency and acceleration. 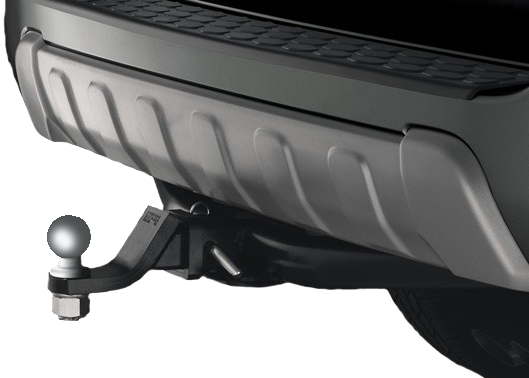 At Tow Hitch City in Daytona Beach, FL, we install Undercover SE tonneaus, which are durable, secure, easy to install and uninstall, and affordable. They seal perfectly to your truck's bed, look great, and have a single lock to open them.